Sony Xperia M is a mid-range smartphone that was released in 2013, August with TFT capacitive touchscreen. The phone comes with Dual-Core 1.0 GHz processor. If you want to connect your device to a computer or flashing firmware on your device. Then you need to download the required drivers for your device. Regarding the display, the phone include 4.0 inches display with a resolution of 480×854 pixels covered by Scratch-resistant glass technology. The version of software is Android 4.1 and you can also upgrade it to Android 4.3 (Jelly Bean). The phone packs internal memory of 4 GB with 1 GB RAM and also support micro-SD card upto 32 GB. With Sony Xperia M, you can capture your memory with a quality results. The phone include 5MP Primary camera with LED flash including features and VGA secondary camera for selfies. The connectivity medium include WLAN, Bluetooth, GPS, NFC, Radio and USB. The sensors on the phone include Accelerometer, proximity and compass. 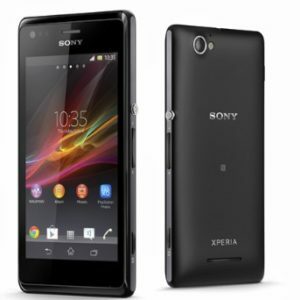 The price of Sony Xperia M in India starts from 11,000.